Chelsea sign American star Pulisic from Dortmund - SABC News - Breaking news, special reports, world, business, sport coverage of all South African current events. Africa's news leader. 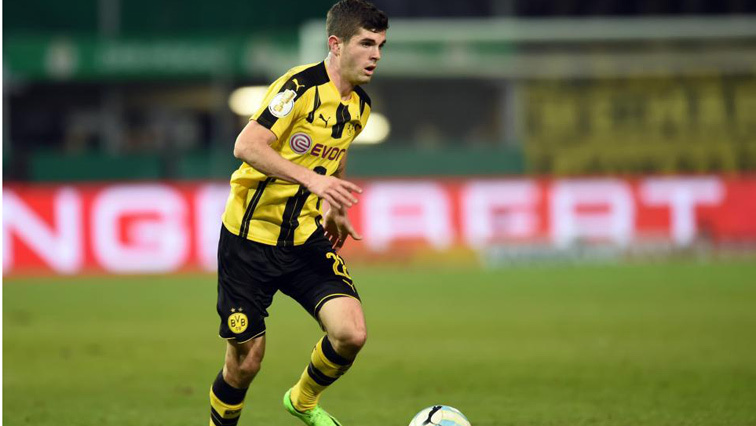 Christian Pulisic, who had also been linked with Premier League leaders Liverpool, has been at Dortmund since he was 15. The 20-year-old right winger who has had more playing time in the Champions League this term than the Bundesliga as Coach Lucien Favre generally prefers England international Jadon Sancho in that position has been loaned back to the German league leaders until the end of the season. “In the summer I move on to Chelsea and to a new competition, the English Premier League,” Pulisic said in a statement issued by Chelsea. “We are delighted to have signed one of Europe’s most sought-after young players,” she said. Michael Zorc, Dortmund’s sport director, said given the size of the offer the club would have been foolish to turn it down. “It has always been Christian’s big dream to play in the Premier League,” said Zorc. “That’s certainly got to do with his American background, and therefore we were unable to extend his contract. This entry was posted on 02 Jan 2019,02:34PM at 2:34 PM and is filed under Sport, News. You can follow any responses to this entry through the RSS 2.0 feed. Both comments and pings are currently closed.